Welcome to the great capital of Germany and the center of the European economy - Berlin! Upon arrival, you are met by your private driver, who transfers you to your hotel for the check-in. The rest of the day is at your own leisure to relax after the trip. Alternatively, you can choose one of our carefully planned optional tours. ➤ Firebird recommends: Try the famous Berliner Weisse sour white beer, that is brewed only in the capital since the Middle Ages. After breakfast at your hotel, meet your guide in the lobby and explore the capital of Germany on a 3-hour walking city tour and see the main Berlin highlights from the Berlin Wall to the Brandenburg Gate, from the site of Hitler's bunker to the Reichstag parliament building (no entrances included). During the tour, you discover Checkpoint Charlie, the site where the Stasi and CIA spied on each other. You hear the amazing stories surrounding this Cold War crossing point. When passing the Berlin Wall, you learn the secret history of why it went up and how Berlin was divided overnight. You also visit Berlin's spectacular new government quarter and get a feel for the contemporary face of the city and its development since the fall of the Wall. Following breakfast at your hotel, meet your guide and driver in the lobby to embark on a 6-hour day trip to the city of Potsdam, the former royal seat of Prussia that now boasts UNESCO World Heritage Site. Upon arrival, you take a walk through the old town of Potsdam, admire the beautiful New Market Square with the royal stables, the old market with the Church of St. Nicholas. Here in Potsdam you can stroll through the Dutch Quarter or see Alexandrowka, the Russian Colony. After exploring the historic city of Potsdam, you head to the famous summer residence of the Prussian king Frederick the Great, the Sanssouci Palace and Park (audioguide tour included). You also have a chance to visit the Cecilienhof Palace, the site of the Potsdam Conference, a symbol of the end of World War II and the beginning of the Cold War. 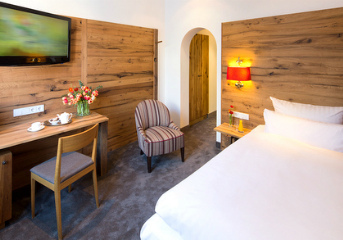 After the tour, you are taken back to your hotel in Berlin and have the evening at leisure. After breakfast and check-out, you are met by your driver in the hotel lobby and transferred to the train station, where you take a 4-hour train to Munich. Upon arrival, you head for your centrally-located hotel. After check-in, the rest of the evening is free for you to enjoy Munich on your own. Alternatively, you can choose one of our carefully planned optional tours. Following breakfast, you meet your guide and go on a fascinating 3-hour tour of Munich's beautiful old town to get an insight into the city's turbulent 850-year history. With its exuberant atmosphere and vitality, Munich is one of Europe's great cultural centers. Enjoy your city tour around Marien Square, Church of Our Lady, and Residenz Palace. In the ancient part of the town the world-famous Hofbrauhaus, the medieval town gates, and the colorful open-air market Viktualienmarkt are waiting for you. Munich’s elegant Maximilian Street offers views at the Bavarian Parliament, Deutsches Museum, Royal Palace and the Opera House. You also pass by Theatiner Church, Hall of Generals (Feldherrnhalle), and House of Arts, the Bavarian National Museum and the Angel of Peace. After the tour, you return back to your hotel and have the rest of the day free. On the way back to Munich, your guide-driver can make a stop at Linderhof Palace or other beautiful sights in the picturesque region of Bavarian Alps. Not included: international flights, other meals not mentioned in the program, optional tours and services, all personal expenses, gratuities. Day Tour to the majestic Neuschwanstein Castle in the Bavarian Alps. The tour departures are weekly and start every Friday from May to September 2019 (except for May 10, May 31, June 21, September 6, September 13, 2019). September 20 and September 27 departures are subject to a supplement of 500$ per person (based on double occupancy) or 1000$ (based on single occupancy).